Installing a Daikin fully ducted Reverse Cycle air conditioning system means you can enjoy climate-controlled comfort throughout the home all year round at the touch of a button. A ducted air conditioning system can be installed in nearly all new and existing homes. 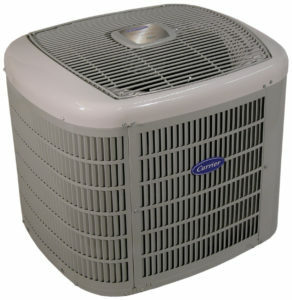 The condenser unit is installed outside the house; the indoor unit is usually located in the ceiling or under the floor with flexible ductwork distributing cool or warm air through a series of grilles/vents located throughout the home. A Daikin ducted air conditioning system can be designed to operate in two or more zones which can be heated or cooled at different times. This means that the air conditioning system can be operated in the living areas during the day and in the bedrooms at night, saving money on energy costs. This entry was posted in Uncategorised by jwebmin. Bookmark the permalink.